Despite this being a Nintendo site, we've never made any secret of the fact that we hold a tremendous amount of affection for the Kyoto company's erstwhile rival, Sega. Here in Europe – where Nintendo Life is headquartered – Sega was the dominant force during the late '80s and early '90s. While the NES, SNES and Game Boy were popular, chances are if you were a serious gamer, you had either a Master System or Mega Drive under your telly and enjoyed the likes of Wonder Boy III: The Dragon's Trap, Sonic the Hedgehog, Streets of Rage 2 and Shining Force after you got home from school each day. Times have changed since then. Sega's retreat from the hardware arena may have been a sad moment, but its resurrection as a third-party publisher helped keep the company alive and has given an even wider audience the chance to enjoy the firm's output of titles. However, Sega knows the value of nostalgia – it was one of the first to support the Wii Virtual Console for example, and more recently scored a critical hit with its 3D Classics series – so it should come as no surprise to find that it has regularly mined its back catalogue to generate extra revenue. Sega Forever is perhaps the most concerted effort yet by the company to not only monetize its past glories but ensure they are available to as many people as possible. 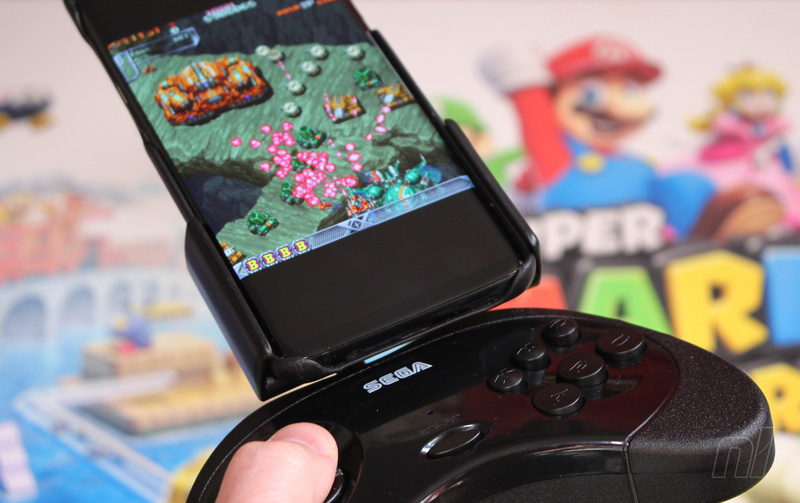 Exclusive to smart devices like Android and iOS phones and tablets, the Sega Forever range is made up of stone-cold gems – mainly from the Mega Drive / Genesis era – all of which are entirely free to download and play. For a small fee, you can remove the rather annoying adverts which are plastered over each game, and – despite a rather bumpy start – the level of emulation is now pretty satisfactory; Sega should certainly be applauded for ensuring that these games are available and accessible. The big problem with Sega Forever – and retro games on smartphones in general – is one of control. These titles were designed to be played with a physical controller and require precise and accurate input. It seems that Sega is aware of this, as it has licenced the production of a Bluetooth pad which is marketed as the ultimate interface for the Sega Forever range (on Android, at least – it doesn't appear to be compatible with iOS devices at the moment). It's perhaps worth noting at this stage that this pad is manufactured by gift company Paladone Products, rather than produced by Sega itself. Encouragingly, Sega has chosen what is perhaps the greatest of all its controllers as the basis for this new device. The Sega Saturn pad is simply fantastic; it has the six-button layout essential for fighting games like Street Fighter II, as well as two easy-to-reach shoulder buttons. 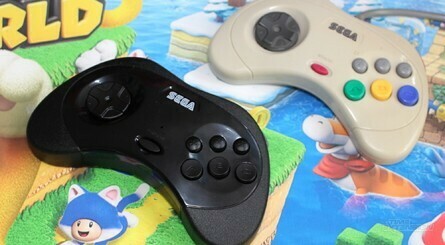 Best of all is the rolling D-Pad which made Sega's 32-bit underdog the console of choice for fans of 2D titles. 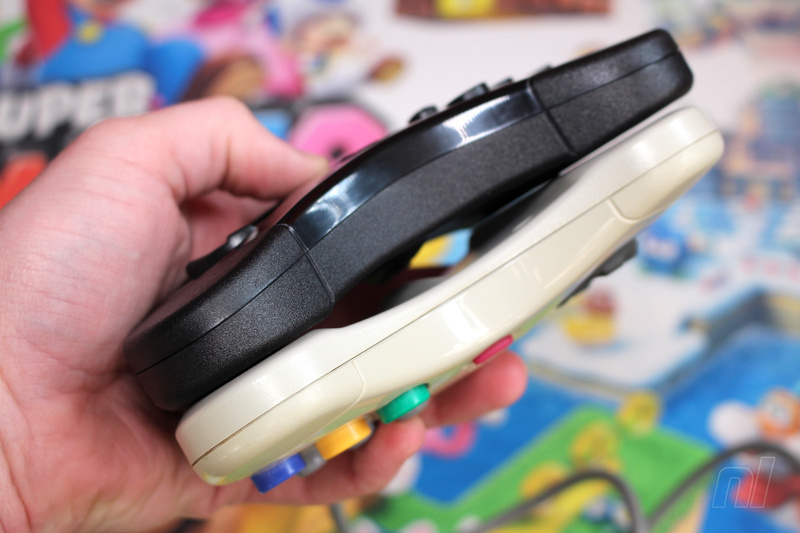 Even today, in an era where analog control is king, the Saturn pad feels amazing. The first problem with this new controller is that it's not an exact replica of the original; it's heavier and thicker, for starters. 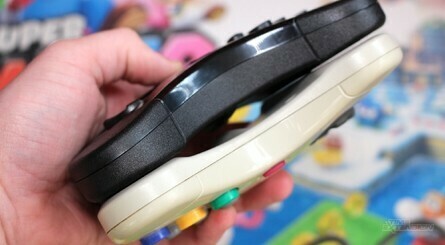 The D-Pad is still a 'rolling' one rather than a Nintendo-style 'cross', but doesn't feel as responsive as the original. We found that the Up and Right directions were often unresponsive and needed a really hard push to register. 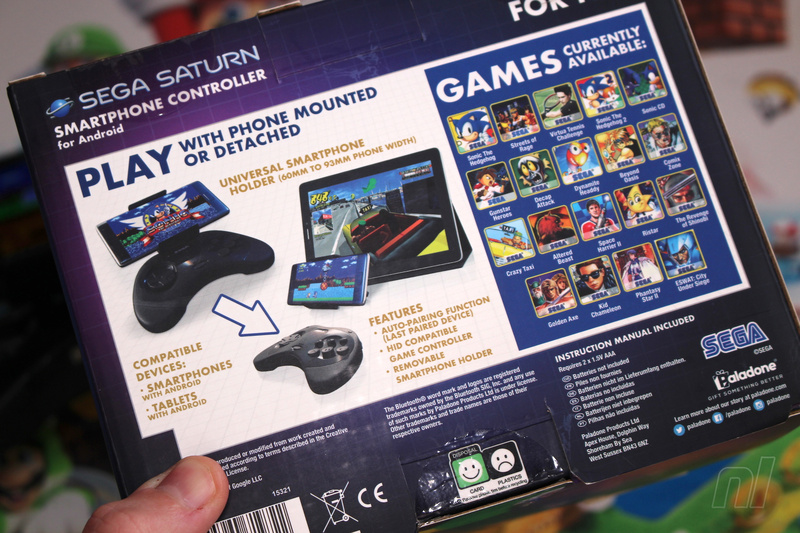 It's possible to become accustomed to this over time, but the bottom line is that the D-Pad isn't as good as the one on the original controller – and given the fact that that was one of the most appealing things about the Saturn pad, that's a crying shame. Elsewhere, things don't really improve. The six-button setup doesn't feel as responsive as before, with each button feeling soft and spongy. To make matters significantly worse, there's a fault with the controller involving the Z and C buttons; when any other input on the pad is pressed and then either of these buttons is held down, the controller thinks they're still depressed even after you release your finger. To illustrate the impact of this fault, imagine you're playing Sonic the Hedgehog and you're pushing right on the D-Pad. Pressing C to jump will only work once – because the pad thinks you're still pressing C when you release your finger from the button. In short, it makes many games totally unplayable. (On a side note, we installed an input tester to ensure this fault wasn't something to do with the Sega Forever range or the other titles we downloaded, and it delivered the same issue). There are positives to mention here; the bolt-on phone holder can be rotated a full 360 degrees, so if you've got any games which use a portrait orientation, they're perfectly playable. You can totally detach the holder the use it as a desk stand for your handset, too. The fact that the unit is powered by two AAA batteries may be both a blessing and a curse; you don't need to worry about charging it as long as you have a supply of batteries to hand, but we imagine that many users would have prefered an internal power unit instead. 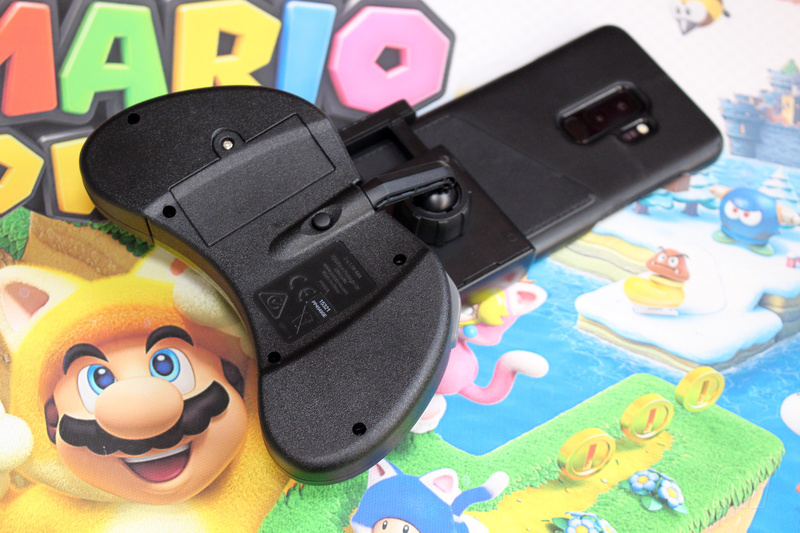 When we first clapped eyes on this controller we thought our prayers had been answered, but sadly it would seem that Paladone Products has created a half-baked device which will it no doubt hopes will sell on the Sega brand alone. 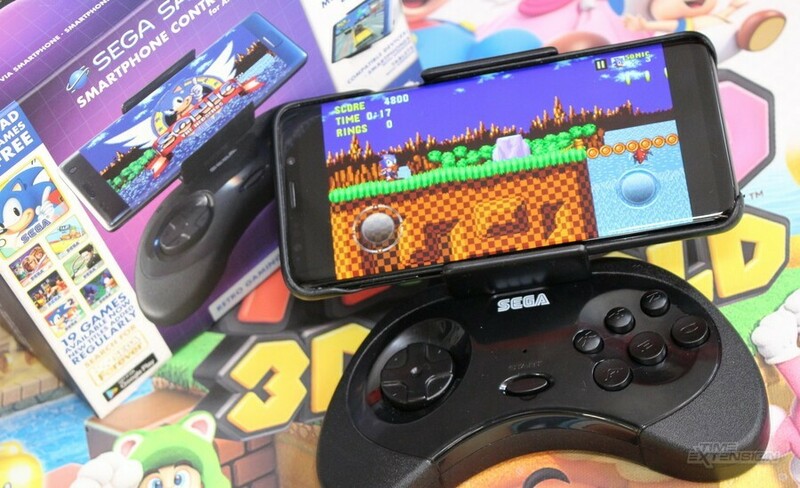 It's a real shame that Sega lacks the capabilities to manufacturer such a controller itself – even the upcoming Mega Drive Mini is being produced by a third-party – because we're sure if it were Sega behind the wheel, the end result wouldn't be quite as crushingly disappointing. As it stands, Paladone's controller is one to avoid, even if you're a diehard fan of the firm once known as Service Games. 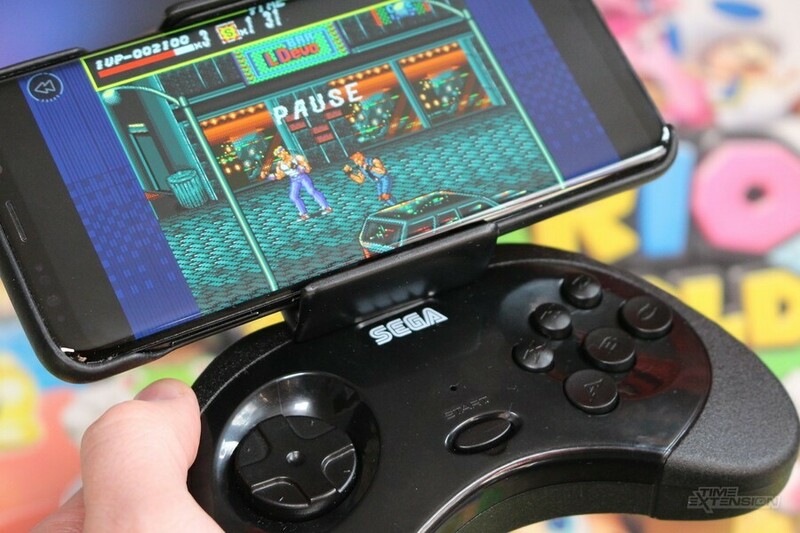 The SEGA Smartphone Controller for Android is available for pre-order now, with an RRP of £29.99. What Saturn games use a portrait view? "chances are if you were a ...serious... gamer, you had either a Master System or Mega Drive under your telly"
Real shame! I missed out when Sega released Saturn pads for both the PS2 and PS3 and now they go for significant monies. I rather just wait for the Retro-Bit ones, perhaps those will be better since they are approved by Sega. @retro_player_22 I'm curious to see how the Retro-Bit pads work out as well. My only fear is RB's patchy track record. Still, at least they try (unlike some aftermarket brands that will go unnamed). @SethNintendo This is really odd to me, too. How is it that even Nintendo, who perfected the D-Pad 30 years ago, still manages to screw up D-Pads today? @Scapetti Real gamers had a Commodore 64. 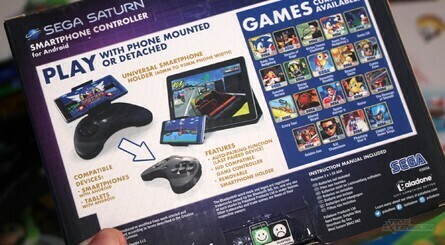 It seems bizarre for them to release a Sega Saturn controller when no Saturn games are currently available and, outside of maybe Nights, I don't see any of them being rereleased anytime soon. @holygeez03 A ton of vertical-scrolling shmups are in tate mode (or portrait, as we might call it now). Off the top of my head: DonPachi, DoDonPachi, Strikers 1945, Strikers 1945 II, GunBird, Batsugun, Layer Section, Gekirindan, Kyuukyoku Tiger II, Shippu Mahou Daisakusen, Battle Garegga, Game Tengoku, probably a ton of others I'm forgetting. That's a shame. It seems d-pads are hard to get right these days. Even Nintendo gets it wrong. I know the Switch pro controller's d-pad isn't considered all that great. 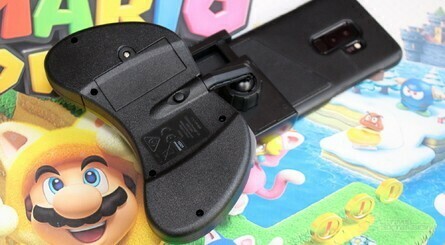 I didn't like the d-pad on the Wii's classic controller pro either. That thing really loves to make every input a diagonal. Disappointing to hear these don't live up to the originals. I love the Saturn controllers. I bought some extras a few years ago. The Saturn I got with them is only semi functional now, but the controllers were worth what I paid on their own. more sega garbage is there anything apart from cheap rubbish that getts released. Yesterday I read you can use a Joy Con on Android/iOS as a bluetooth controller. I’m going to try it out this weekend. Admittedly you can’t combine 2 to make a controller with a d pad but it sounds like it would be preferable to this for emulating. I know they'll probably never do it, but I hope 8bitdo ends up doing a Saturn gamepad clone with this d-pad. Their NES30 and SNES30 (PRO versions for both) are pretty close to the feel of the originals. Not perfect, but real close. The SNES30 Pro is very, very good IMO. It's my controller of choice for my Android TV device, and it can also be connected to the Switch (and PC as well). @Mountain_Man I think you'll find they moved from a Spectrum to a Commodore Amiga! "The big problem with Sega Forever – and retro games on smartphones in general – is one of control." No, the big problem is they've not lived up to their promise of releasing games regularly. This is confounded by the fact that all they've really been doing is updating their existing iOS apps from 6 years ago to make them iOS compatible... and they still managed to mess up the emulation. So it's a half-baked controller for a half-baked service that they've all but given up on. Of course there’s disappointment, it’s modern Sega, they so rarely get it right anymore and usually it’s because they’ve left something to the fans. So depressing. Anyway, with 8Bitdo’s Genesis PCB mod that controller hasn’t left my pocket since I got it. Best thing to happen to the world of modern wireless controllers. Just bring on the Sega Ages M2! That's a genesis 6 button controller. Looks nothing like a saturn model 1 or 2 controller. @holygeez03 Many shooters have TATE support (Battle Garrega, Gunbird, Strikers 1945, Batsugun, Donpatchi, to name a few)..
Also several games on the Capcom Generations collections. You really should turn off the ugly on screen controls when using an actual controller. They are really obtrusive IMO. This is why 8bitdo needs to start making Sega compatible receivers and controllers. I would rather use wireless controllers on actual Saturn/Genesis hardware. To be honest, if they made receivers, I would just buy a couple of those and use their excellent SNES pads on it. As wrong as that may appear. Krikzz makes a great 240Hz wireless Genesis pad + receiver. Its $60+ though. Reminds me of when I got the Sega Saturn USB controller that Sega released a while back. While it looked spot on with the original controller, it just lacked the feel of the real thing. The d-pad just wasn't nearly as good and it had a cheap feeling to it. Oh look Sega is actually showing us why they will never make it in the hardware market. Oh wait no we didn't. @Uncensored Nah, the Genesis 6-Button Controller has circles around both the d-pad and the face buttons. 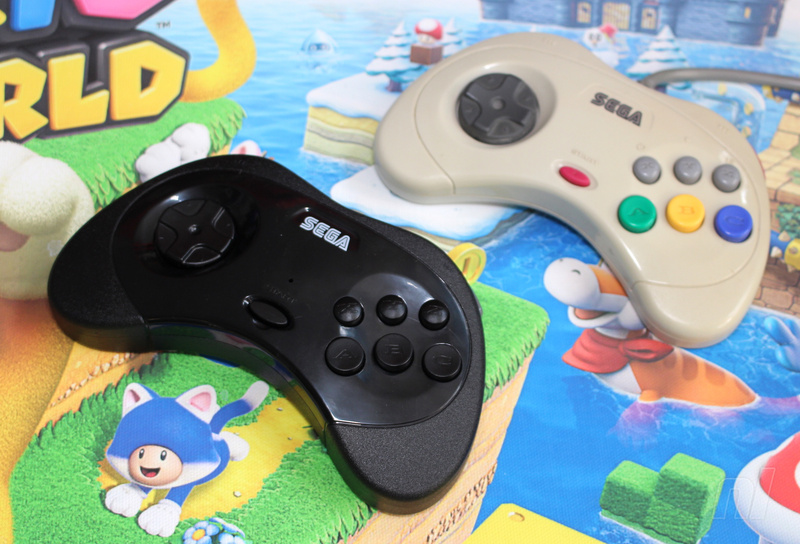 This is the model 2 Sega Saturn controller. Looks like an exact replica to me, but I haven’t played my Saturn in a bit. @imgrowinglegs I have my saturn and both model 1 and 2 controllers. Looks nothing like that. It's way too small. @Uncensored It's the Saturn controller. The Mk1 controller of which you speak was only released in the West. The Mk2 (which this is based on) was the only one available in Japan and was eventually shipped with the model 2 Saturn all over the world. The design just doesn't work with the phone attached to it imo. It needs to be wireless to make sense. Luckily it's optional. @Uncensored This is an exact replica of the 2, and I don’t know what else to tell ya. I’m waiting for Retro-Bit’s Sega controllers, very excited to have high quality wireless controllers for my Sega Genesis & Saturn. It's mind boggling that it's more than 30 years after the NES and companies still have problems with making decent D-pads and buttons.